This year has been something of a mad one, not least in terms of music. I started 2014 in a sea of paperwork, trying to finish off the final elements of my Music Journalism degree before setting off for a months work experience at NME and finding out that I'd received a first class mark. The latter half of the year was lost in job applications, house moves and general adult stuff that got in the way of my usual busy schedule of gigs and headphone time. None the less, it wouldn't be right to end the year without a musical round up, so here goes! Despite it's release date technically having been in December 2013, I lost most of the first month of the year to Beyonce's self titled album (read my full review here). A year later, I still love every facet of it - the crisp production, stunning art direction and the overwhelming sense of honesty that coats every lyric. Let us not forget how empowering a record it was either - from black pride ('Superpower'), feminism ('Flawless') and sexuality post-motherhood (er, the whole thing), it was a record which threw off the cloak of perfection and was true to itself. 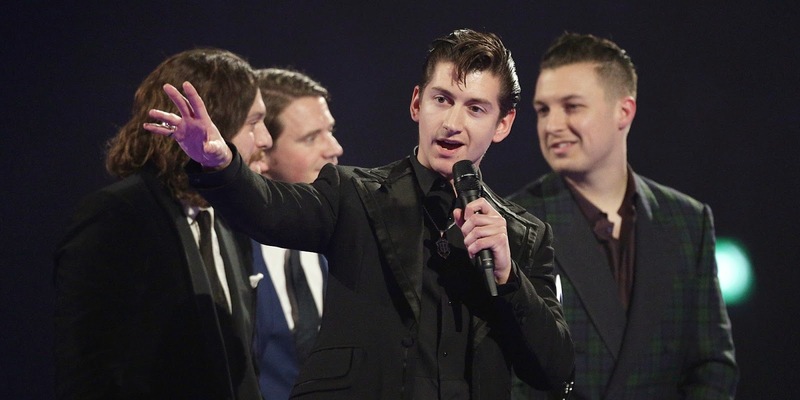 February was a good month for this little here blog, as I got into plenty of debate with friends and family concerning Alex Turner and THAT Brits speech. I still think it was utterly hilarious, perfectly befitting of the rock star character Turner has created for himself. It was also a great month for records - Bombay Bicycle Club's So Long, See You Tomorrow brought their experiments with eastern and dance music to the fore while still maintaining their heartfelt softer moments, whereas Wild Beasts Present Tense (review here) was a journey into dark, unchartered territory, loaded with synths and imagery. I'd highly recommend both. 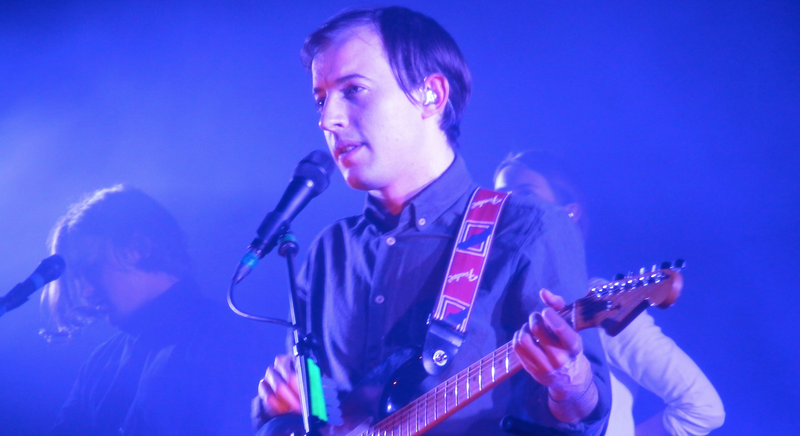 In March I went to watch Bombay Bicycle Club for the umpteenth time at Leeds Academy, falling in love with their stage show that is steadily growing in ambition. It was the first time I realised how truly huge they were becoming, cementing later in the year when they announced a show at Earls Court. Having followed this band from their very earliest gigs, I couldn't be prouder. Cramming the final few thousand words for my dissertation, I listened to and enjoyed plenty of records - Real Estate's Atlas, Pharrell's GIRL and The War on Drugs record Lost In A Dream, to name but a few. The War On Drugs in particular were to become very important this year - in January I spent a week at the NME offices where one of my tasks included transcribing an interview with Adam Granduciel, the man behind the 'band'. Although I've obviously interviewed bands myself before, I was blown away by Jenny Stevens (the NME journalist's) technique and how throughly she got Adam to open up, and have been really inspired by the experience and what I could hear in the music after knowing a little more about the man behind it. The power of good music journalism! 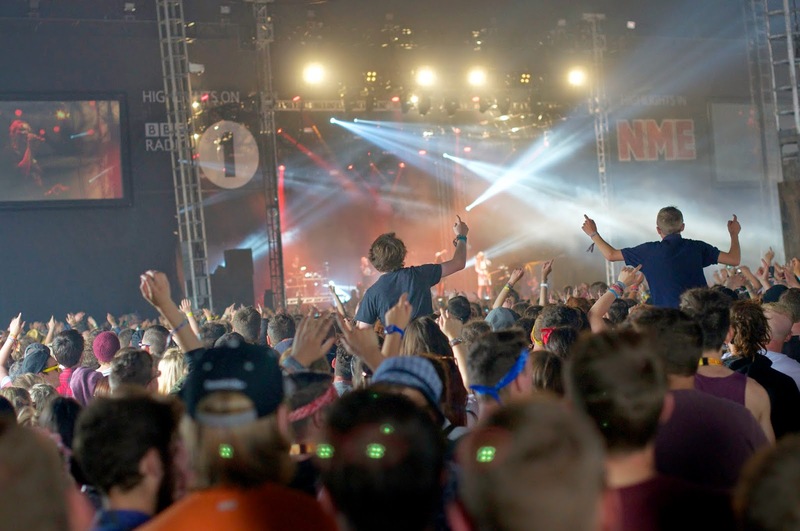 In April, I returned to NME for a month's work placement on the NME.com desk. I learned loads, both about journalism and about London life. I also had some stuff published, which was a huge compliment. Naturally, the commute meant plenty of time to listen to music - the Wolf Alice Creature Songs EP, Iggy Azalea's The New Classic and Cloud Nothing's Here And Nowhere Else mainly. When I got to the office each day, I was exposed to plenty more - Salad Days by Mac De Marco, Damon Albarn Everyday Robots and an advance copy of Kasabian's 48:13. Kasabian have always been something of a guilty pleasure, but the minute I heard 'eez-eh', I will admit I was shocked - this deranged funhouse music that sounded like it was delivered by a gang of football hooligans had a menace to it that made me see them in a new light. 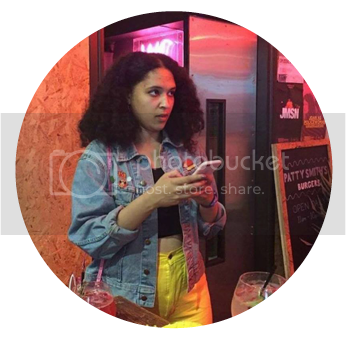 May is a month that seemed to dissolve in a mess of finishing my degree, my NME placement and generally enjoying some downtime away from blogging and being switched 'on' to the media world. However, I did make it to Gold Sounds festival at Leeds Brudenell Social Club (review here), where Cloud Nothings and Johanna Gruesome were massive highlights. Albumwise, I fell for Kate Tempest's Everybody Down despite not normally being a fan of spoken word-type art - it made me feel the same way that Arctic Monkeys 'Whatever People Say I Am...' did with it's gritty realism, which is no small compliment at all. May also had it's disappointments. Despite utterly adoring 'Magic', I couldn't help but feel let down by the two-dimensional-ness of Coldplay's Ghost Stories, and Lily Allen's Sheezus succumbed to the same problems as it's much-talked about lead single 'Hard Out Here' - too many dated references, and tunes that weren't strong enough to really ram home the important message. June - the month Jenessa went soft. Five Seconds of Summer were everything my 13-year-old self would have loved, provided a homage to the glory days of Avril Lavinge 'sk8ter boi' pop. I hated myself, but there was no denying that 'She Looks So Perfect' became something of an earworm. Ed Sheeran's X initially underwhelmed by steadily won me over via the brilliance of both 'SING' and 'Don't' (reviewed here), while Lana Del Rey dropped Ultraviolence, a wishy washy affair that peaked with 'West Coast', soaked in her trademark sultry melancholy. and 'Time' deep within my brain. At the end of July, I also made the long trip down south to review my very first 2000 Trees Festival. I loved every moment - it's boutique family feel makes for a much more relaxing experience than some of the bigger events. 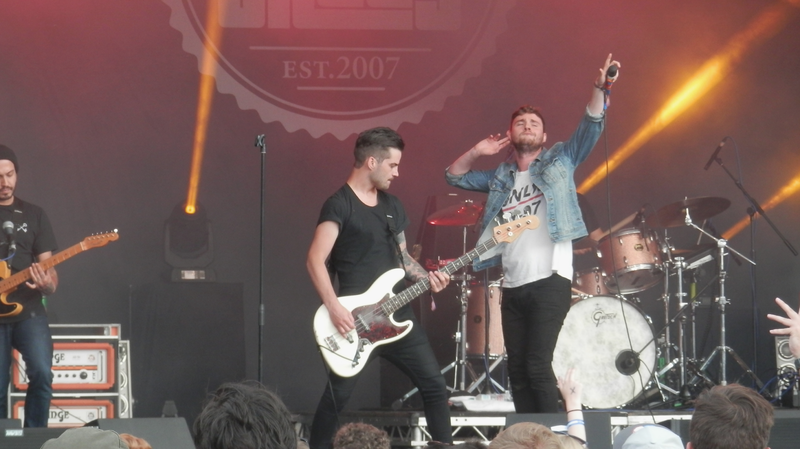 I said goodbye to Kids in Glass Houses at one of their last ever festival shows, experienced an incredibly high-octane live show by The Bronx and welcomed Wolf Alice even further into my life. August was a pretty quiet month for releases - everybody was too busy playing the festival circuit! 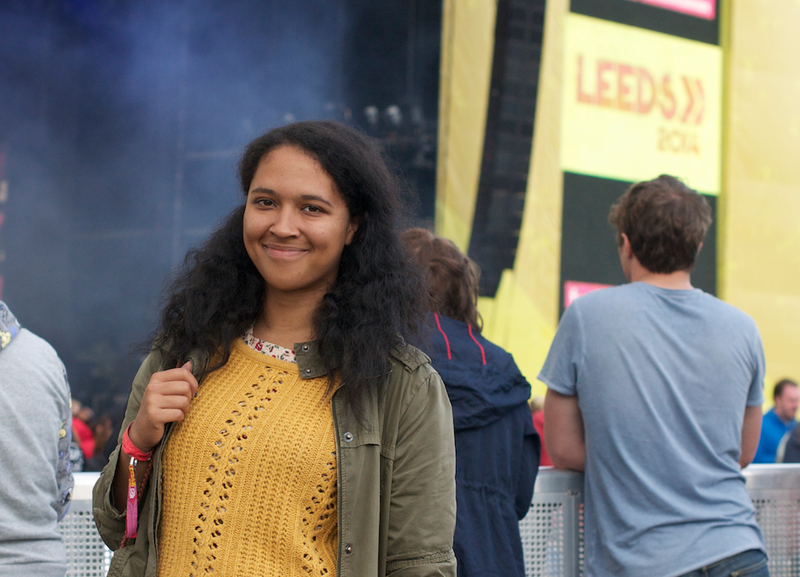 I was lucky enough to receive my first press pass for Leeds Festival (reviewed here), where I waved goodbye to AM-era Arctic Monkeys, watched Paramore prove their worth as one of the world's best live bands today and put my faith in Drenge to be the next big crossover band. I also took some pretty horrendous street style photos (promise to get better in 2015). 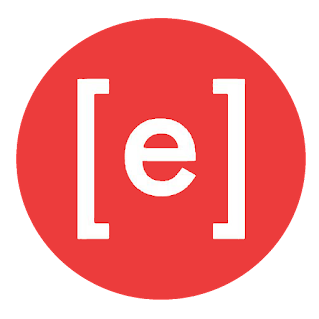 There were two great albums at least - in pop land, Ariana Grande's super-sickly sweet My Everything was Mariah Carey re-imagined for the selfie generation, while FKA Twigs took the Beyonce approach to sexuality, displaying vulnerability alongside formidable strength. 'Two Weeks' is undoubtedly one of my favourite tracks of the year - check it out if you're one of the very few who hasn't heard it already. Forget Alt-J and their weird crisp-packet references - September was all about Jamie T. Having waited five years for a new record, Carry On The Grudge was everything I wanted it to be - matured but playful, dark but with flickers of hope, songs to go wild to and songs to make you feel sad. What's my favourite song? I'm torn between 'Turn On The Light' and 'Love Is Only A Heartbeat Away', both beautiful in different ways. At the tail end of the month, Get Cape. Wear Cape. Fly also muscled in. His last ever Leeds show was incredibly emotional, and reminded me just how much his first record meant to be as a teenager, an experience which I wrote about in full here. Award season kicked into play again in October - Young Fathers surprised everyone to win the Mercury Music Prize, while Little Mix scooped the Popjustice £20 music prize for their single 'Move'. Still not sure on the former, 100% behind the latter - Destiny's Child-worthy pop will always be a winner in my book. In album land, I took a liking to Lower Than Atlantis' self-titled record (reviewed here) - pop punk that was very straight-forward about it's intentions. 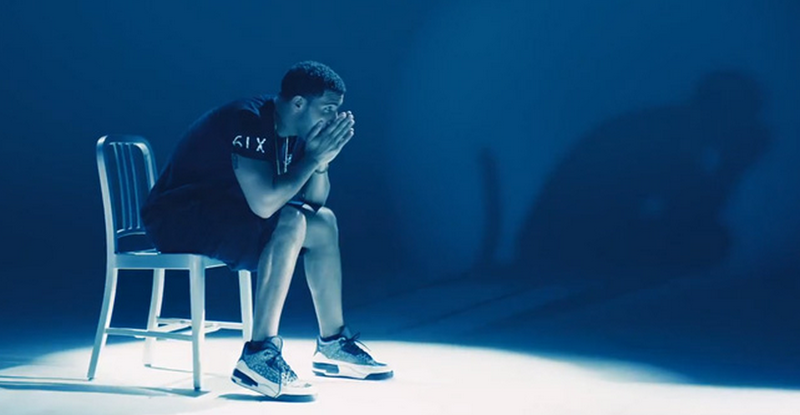 Jessie Ware and SBTRKT both yielded great singles but not much else, leaving me feeling a little despondent. But then of course Princess Taylor Swift came along with "1989', a record that had so many potential singles it may as well have been named Top 10 countdown. Don't even think about asking me for a favourite song (probably 'Style' or 'Blank Space'), but bonus track 'New Romantic' is a Robyn-worthy female anthem that definitely should have made it onto the main record. You can read my full review of the record here. Watching Real Estate & Alvvays, Jamie T & Slaves (read my reviews here and here) live were also emotional experiences - the former because we got to be part of the show by picking out song choices from a cup, the latter because I was surrounded by drug users and overheard some rather ignorant and unpleasant racial stereotyping aimed my way. Win some, lose some. Topping off the month, Beyonce re-released 'Beyonce' as a platinum edition, teaming up with Nicki Minaj for a version of 'Flawless' that added a whole lot more sass to an already sass-laden pot. 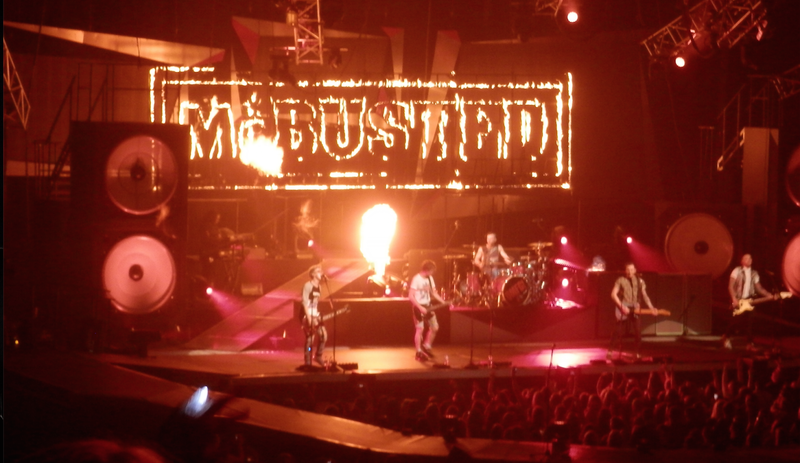 We also got 'McBusted', which while fun, felt a little like overkill - I adored the tour, and found the album to be something of a guilty pleasure. Lead singer 'Air Guitar' was something of a tune, if you didn't mind eating around the cheese. December - the month Charli XCX broke my heart by delaying the UK release of 'Sucker'. Still I managed to console myself with Nicki Minaj's The Pinkprint, with the brilliantly bonkers 'Anaconda' and the Beyonce-featuring 'Feeling Myself'. It was also another good month for gigs - I saw one of my favourite bands Los Campesinos! 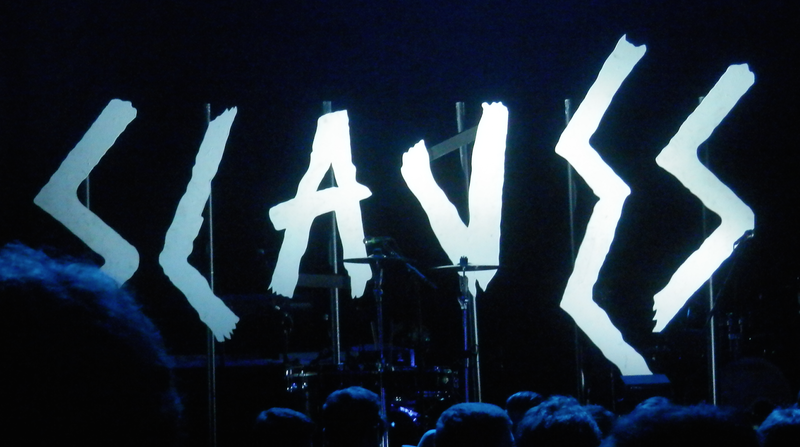 do a lovely Christmas show for the second year running, and reviewed a Kasabian gig at Leeds Direst Arena with the added bonus of a support slot from The Maccabees (read here) . Once again, hearing 'Precious Time' live forced me to tears, quickly dried by the hands-up, no nonsense hit-fest of Kasabian. So what's in store for next year? Now that I'm working from home, have a little more money and more independence, I'm hoping lots more gigs and plenty more content. 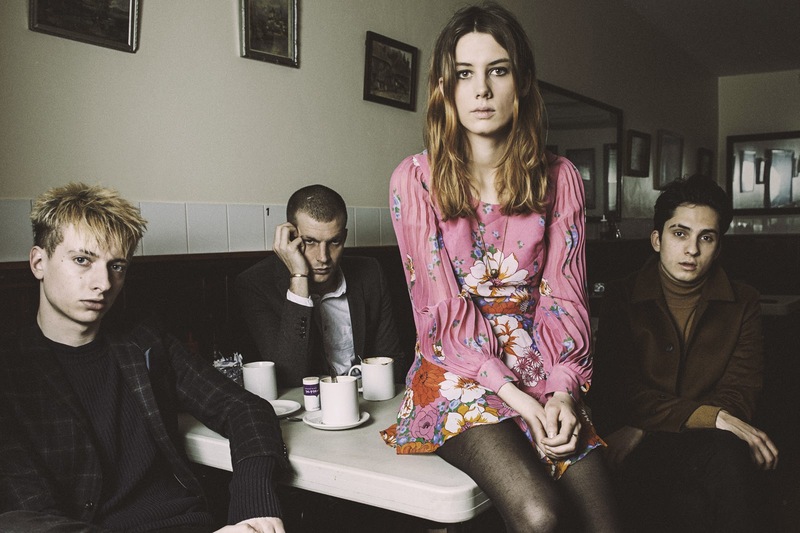 There's plenty of bands I'm expecting to have big 2015's too - Wolf Alice (read my interview here), Slaves, Alvvays, MNEK, George The Poet, Years & Years and Tinashe to name a few. Congratulations if you're still reading this post - it's been quite a whopper! Thanks so much to all the PR's, promoters and managers who have sent me music or invited my to gigs/festivals this year, it really is appreciated. Check out my Spotify playlist before for some of my favourite tracks from the year, and keep checking back for more music goodness across 2015!